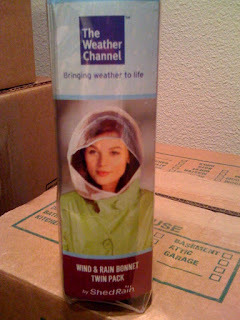 I am moving Friday and came across this rain bonnet mixed in my stuff. Why on earth do I have a rain bonnet?! I bet I bought it at Walgreen's - it is second only to Target in impulse buying.